I'm intrigued by this day. It's a quiet, in-between day, wedged between the horror of Good Friday and the glory of Easter Sunday. 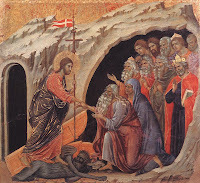 For most of us, Holy Saturday is a day of preparation: getting that ham ready, dyeing Easter eggs, setting out what we'll wear to church Easter morning (or even putting the final touches on our sermon). But what was Jesus doing this day, so many years ago? 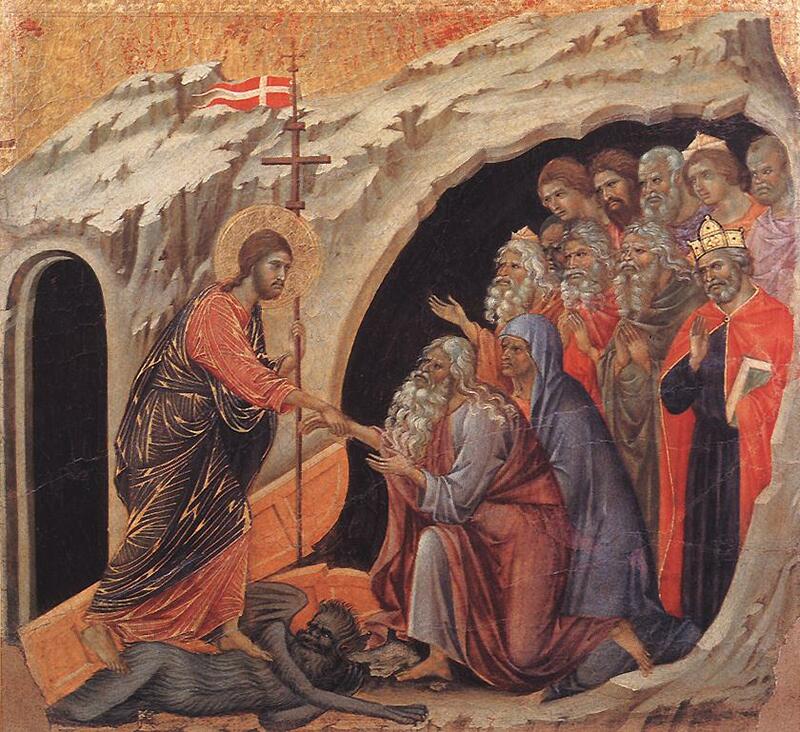 The Creed says that on this day "he descended into hell." What does THAT mean? (I maintain a webpage of FAQs of faith, spirituality, theology, and the Bible and this question always comes up. Click on the link in the column to your right!) Some people take that phrase literally: they look at possible parallels in puzzling texts like 1Peter 3:19, "[Jesus] was put to death in the flesh, but made alive in the spirit, in which also he went and made a proclamation to the spirits in prison" (according to some, that means he was preaching the gospel in hell). It's hard to know for sure. Usually, I'm comfortable citing John Calvin (Institutes, II.xvi, 10), who saw this reference as spiritual, describing Christ's descent into the anguish of utter Godforsakenness. That makes sense to me: Jesus, by absorbing every single sin of every single human-being, suffered the full penalty, being estranged from God in his entirety, a certain definition of hell on many levels. As my wife said at the breakfast table this morning, Holy Saturday may've been worse for Jesus than Good Friday. I guess the takeaway for us is that as quiet and unassuming as this day may seem (and it's anything but), Jesus wasn't just biding his time, waiting in the wings 'til Easter morning. He was paying the full price for all our sins and failings. Just because it's quiet today, doesn't mean nothing's happening.